AnonD-366222, 21 Feb 2015It's Awesomeeeeeeeeee It's Fabulousssss Nothing like anyting at this price... I love this M... morewat abt its camera quality? The specs say that it is Li-Ion 2000 mAh, but in reality is only 1000 mAh. Taking a ride of consumer by means of what is written on the battery label to what is really inside. Download 'Battery Doctor' APP and check both charging and non-charging usage mode. The truth is revealed to the capacity of maximum 1000 mAh, and in deed will go down as aging of the battery. 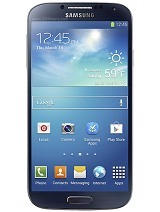 i hv bn usng ths fone since last 4 months. it has heating prblm which is common for all slim phones. it has less batry backup .so i used batry bank . it is great fr gaming . i had a total hd exprenc . over all it is good.i give it 9/10 score . PJ, 13 Feb 2015hi...I am using this phone from a month...and m a hard gamer...I have lots of games on my octa... moreGuyzzzz plzz....tel me is this a suprr phone??? got it in the evening from snapdeal. i must say it's a kickass device and a must buy. from display to performance octane plus is best and considering the design and built its the sexiest device under 10,ooo !! which one is bettar mobile phone just help me for the same.waiting for your suggestion.....asap..
what about the flash of the phone is it good like micromax or not? 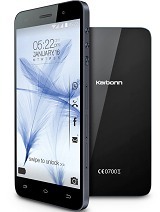 Guys plz do not buy any karbonn product. It is completely cheating company. I am from surat and i have purchased my phone on 20/08/14. My LCD is broken on 01/10/14. I have list down all customer care centre. When i approach , many of them told they have closed servicing karbonn mobile. Where just 2 out 10 told me that they will provide service for my phone. I am ready to pay any extra cost for broken LCD. But when i delivered my phone for service with service centre, they replied me to taken back after 15-20 days then after again more 15 days. At last after 2 month, they replied me to take return back my phone without any service. Then again i have complained this matter to karbonn company. They provided another service centre details. Again today that service centre told me to wait more 1 month for repairing my phone with payment of Rs 6900/-. Where new phone from amazon is sold at 9000/- only. What the fake and cheating company karbonn is doing? Should i raised complain against company in consumer forum for cheating me?